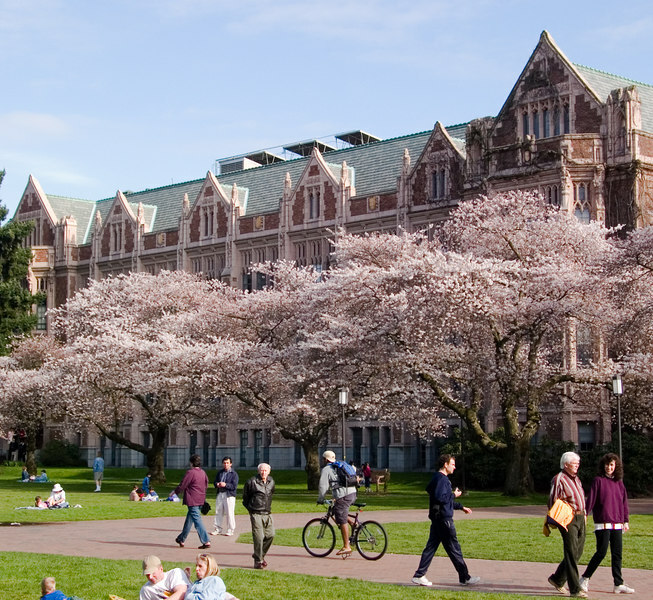 In the spring the UW campus is a right of flowering cherry trees. These Yoshino trees date from the 1930s, and were transplanted to the quad in the 60s from the Arboretum when they were in the way of highway construction. Japanese cherry trees in the UW quad.